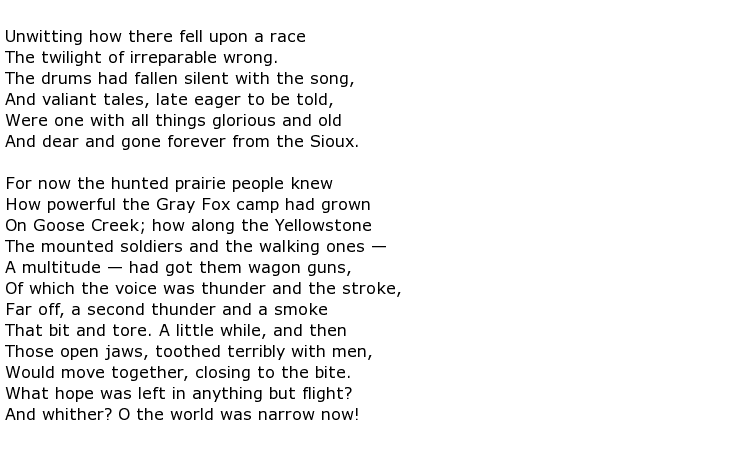 John Gneisenau Neihardt was a US poet whose historical fascination with the period in his country’s history when the frontiersmen were coming to the end of their mass settlement of the great plains made him an ethnographer. His specific area of interest was the effect on the indigenous people who were often displaced by white settlers. His famous book Black Elk Speaks, written in 1932, was a compilation of stories about those times and the many interviews that he had with the great medicine man of the Sioux nation by that name. This would be the path that he would lead in later life, following ancient faiths such as Hinduism. His fame spread to Europe and a Paris-based woman named Mona Martinsen was so enamoured with his work that a long-running correspondence between the two ended in marriage when she moved to Nebraska. Neihardt had a vision to document the story of the cataclysmic changes that befell the Great Plains beginning with the arrival of fur traders and ending with the notorious Wounded Knee Massacre of 1890 where the Lakota nation were virtually wiped out. Tribes had been practicing a ritual called the “Ghost Dance” where living members could interact with the spirits of dead forefathers and this was one of the ancient traditions that was outlawed after this tragic event. Neihardt wrote a cycle of epic poems to cover this whole section of history. During his extensive travels, often using an open boat, he found former cavalrymen as well as Indian survivors who were able to tell their stories but it is those of the holy man Black Elk that had the most effect on him. The two men became close friends over many years after their first meeting in 1930 and the above-mentioned book was the significant result of these recollections. was translated into other languages, including German in 1953, and it was re-issued in a number of new editions throughout the 20th and into the 21st century. It was inevitable that such a learned man should be in demand on campuses and he served in Nebraska, St Louis and other places as professor of poetry or poet in residence. 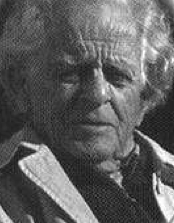 John Gneisenau Neihardt survived a car accident which killed his wife in 1958 and lived to the grand old age of 92. He died in Columbia, Missouri on the 24th November 1973.